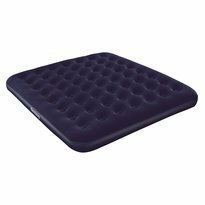 Be the perfect host with the Luxury Collection Raised Air Bed from Aerobed. 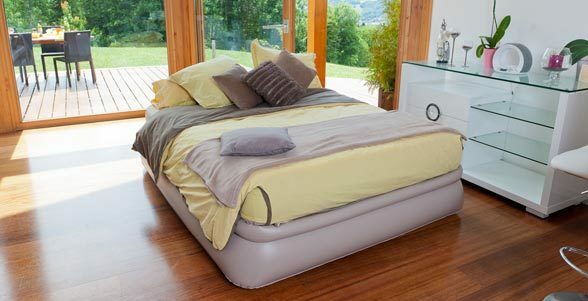 The beauty of the Luxury Collection Guest Bed Raised King inflatable bed is convenience. 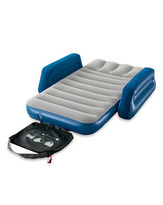 This inflatable King guest bed offers enough space for 2 adults. 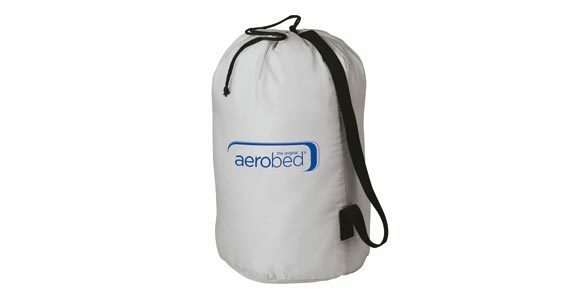 It is inflated and deflated in less than three minutes and can be stored away conveniently in the spacious included carry bag. 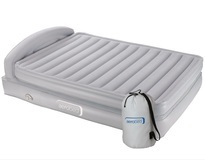 The antimicrobial treatment protects the sleeping surface and ensures health and hygiene protection even while in storage. This technology is unique to AeroBed®. 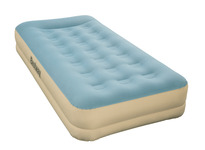 Note: This airbed is intended for indoor use only. 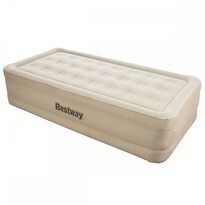 Aerobed airbeds are designed to be used as guest beds only and are not for permanent use. 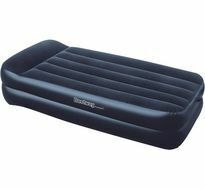 After spending a huge amount of time reviewing inflatable beds, I am delighted that I chose aerobed. 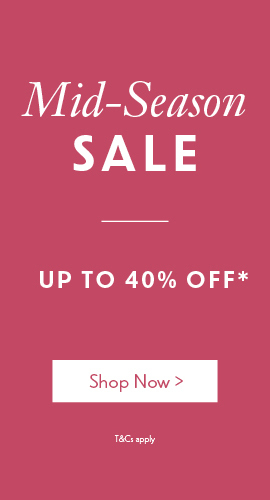 Initially I thought it was quite expensive but I am now so pleased that I paid that bit extra. My husband and I spent 4 nights in the bed whilst having a huge family get together and several relatives staying with us. 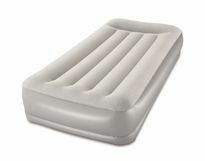 It was extremely comfortable and supporting. 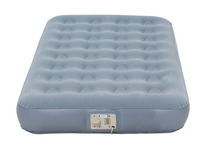 If i had any complaints to make it would be that it is very noisy when inflating but am sure that we can all cope with 3/4 minutes of the noise, the only other pitfall is that it is extremely heavy, but would rather that than have the usual problems that are encountered with inflatable beds. 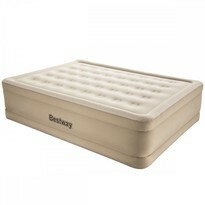 I would definitely recommend this bed. I have to admit after researching which bed to purchase and reading many reviews of several different Air Beds online, I was feeling overwhelmed and very sceptical. I found this one and called to speak to an assistant, who was very helpful and reassuring. I decided on this one and I have to tell you, I am very pleased I did. It really is amazing, we are very impressed with it and I would highly recommend it. I very rarely write reviews, but felt this was worthy of one. Yes it can be used abroad with a UK adaptor. 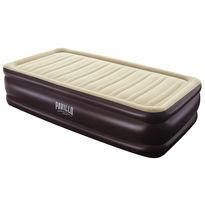 Does this product come with an adapter so you can plug the pump into a 9 volt car socket so it can be used for camping? No unfortunately this model comes with a built in mains operated pump. 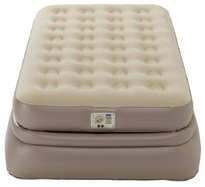 Perhaps our Aerobed King Comfort Classic Air Bed Raised With Headboard may be of interest to you. This product offers a detachable mains operated pump, however aerobed themselves sell rechargeable pumps for these models. 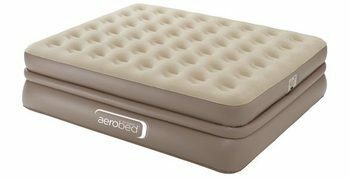 I have included the link to this product below.